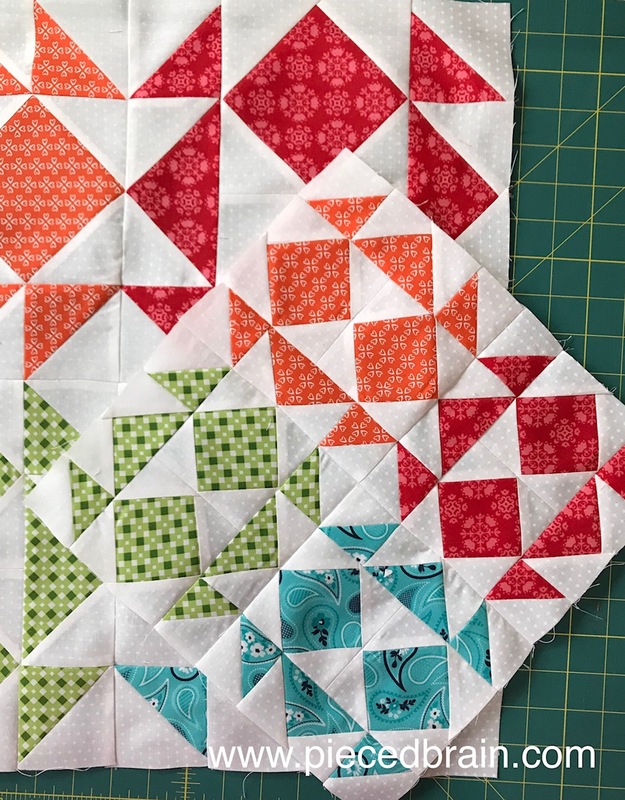 I made lots of half square triangles, large and small, then put them together to make the 12-1/2" and the 20-1/2" blocks. 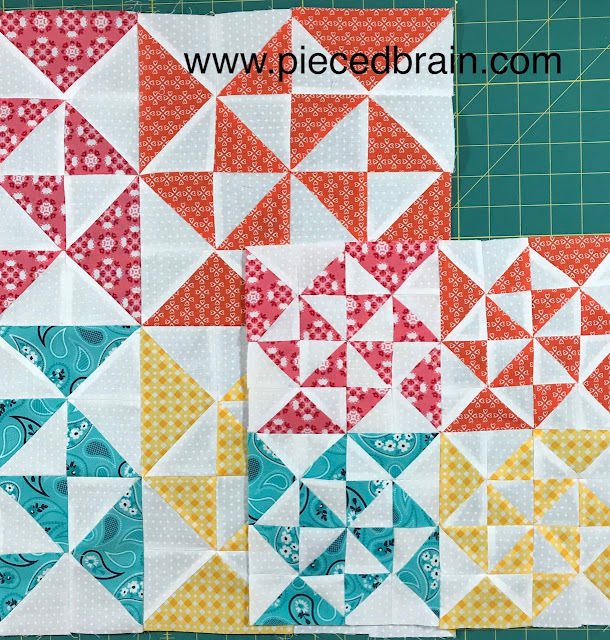 The seams can be a bit tricky to sew because the points get bulky when we nest them. For sure that is the reason why my blocks are coming out larger than they should as, try as I may, the presser foot goes: "There ain't no way I am climbing over that bump" and it swerves causing the seam to be less than 1/4". Dang. 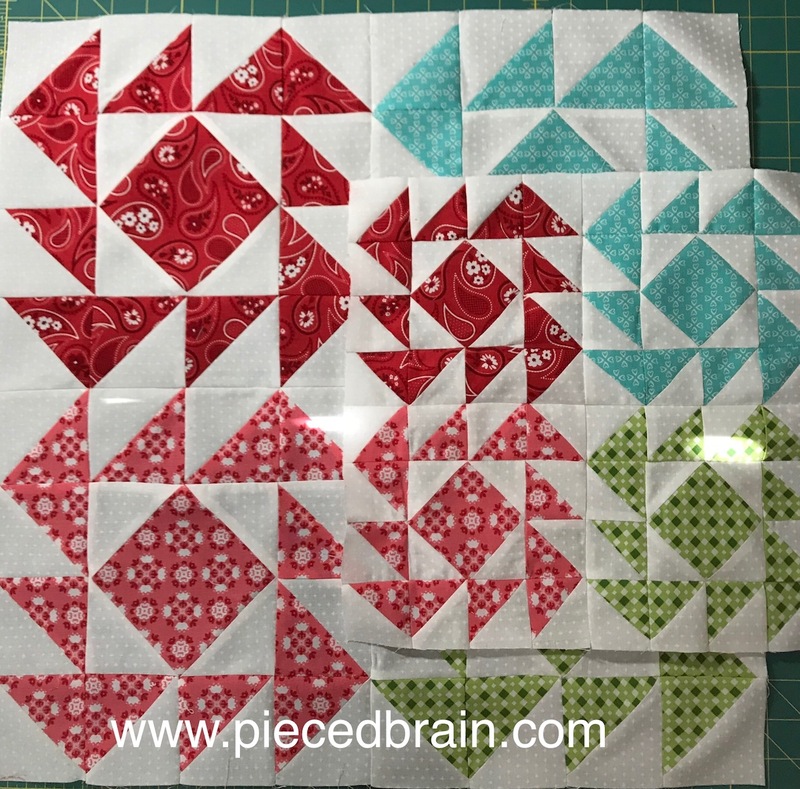 My seam ripper worked hard to no avail. 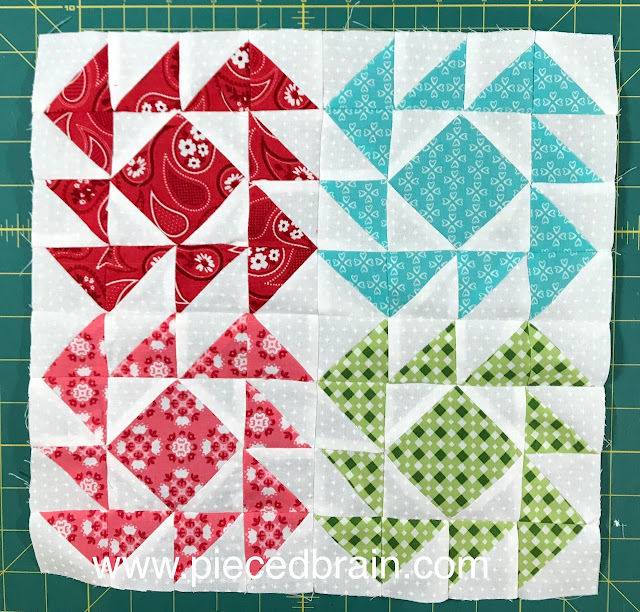 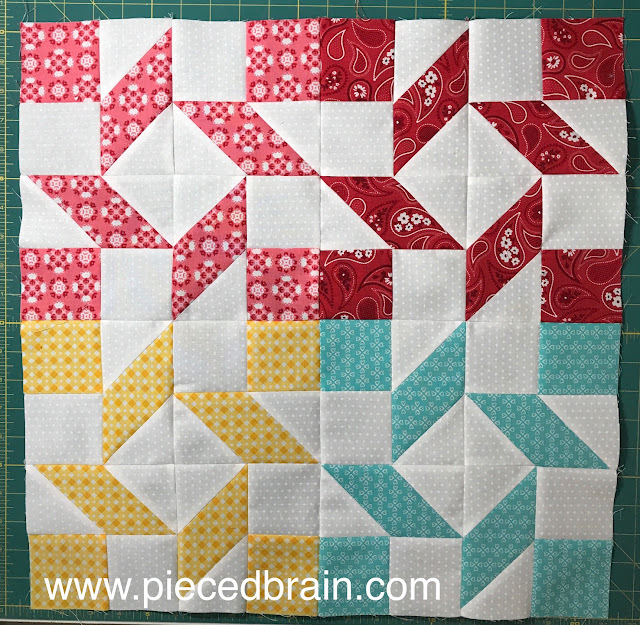 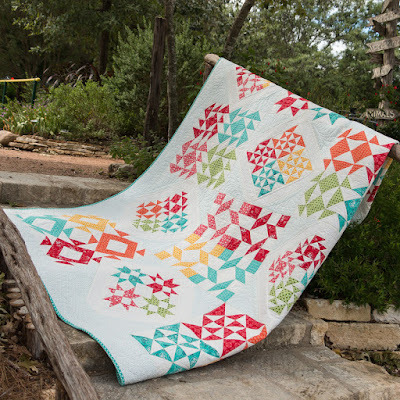 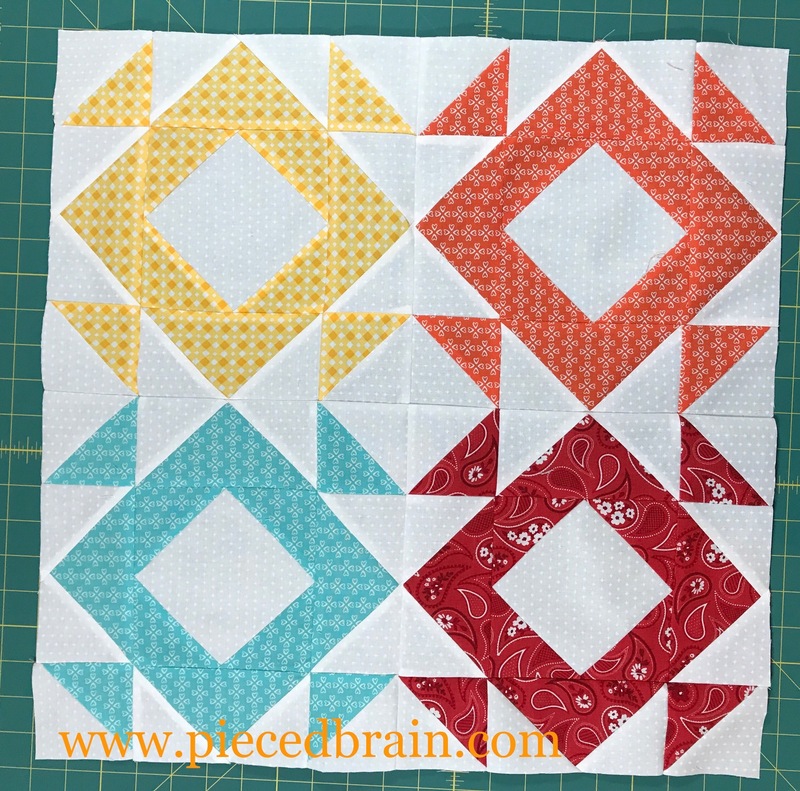 You can find the full fabric requirements and all the patterns and videos posted so far on Fat Quarter Shop's blog Clementine Quilt Along page. 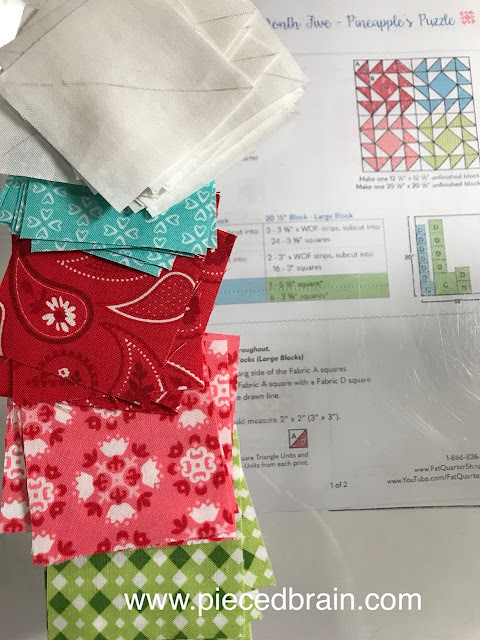 The kit I got came with all I needed for this project, and I also got the backing.